What are the top three most important products of next year’s line, and why? Please tell us about them, and what makes them the highlights. For 18/19, we will complete our assortment to offer a hard boots system and a Rear Entry system. We have designed, in partnership with SP binding and their technology Fastec, a Rear Entry which has been obvious to us since the beginning. 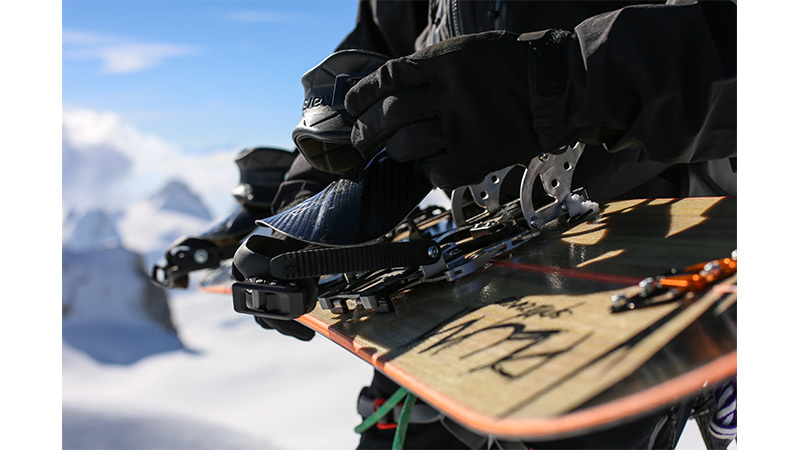 The riders who use this type of bindings on their solid boards are looking for the same advantages in splitboard. We’re going to offer a complete Rear Entry binding and an adaptation for those already owning a PLUMsplitboard binding. The hard boots project is tricky because this isn’t only dedicated to the riders using this system on their solid boards. Indeed, through our feedback and surveys, we came to the conclusion that part of the riders (using soft boots on their solid boards) prefer hard boots in splitboard mostly for performance. Using hard boots reduce the overall weight of the equipment, enable a better stability uphill (ski mode) and precision on the way down, especially in steep parts and hard snow. We’ve designed and created a hard boots binding which includes a base plate that you can use with our current interface line. This way, splitboarders are able to choose. Soft boots or hard boots depending on the runs or daily snow conditions. Last but not least, we’ve developed a specific accessory for splitboarders who want to use low-tech boots. The bracket must be replaced by a low-tech toe piece. It isn’t an adaptor, but a real and complete low-tech toe piece produced with the three screws standard inserts. Saving weight for more efficiency. We still use the 7075 aluminium and titanium which are part of our identity. When it comes to bindings, riders prefer sober colours, this way they easily match their board’s style. We choose black and colourless (aluminium colour). From the beginning, Plum Splitboard has been committed to design and produce high quality gears for demanding riders. We use a very specific technique(C&C machined) and high-performance materials in order to guarantee a light, precise and resistant (durable products) Splitboard binding. We don’t have an entry price level strategy, as we offer high quality gears along with a great service (3 years warranty on every Plum binding of the assortment except for the “Modloc “rental). This season 2017-2018, all our bindings assortment is equipped with NOW straps and their Sieva technology. These fully injected straps, without stitches and glue provide lightness, comfort and flexibility. For 2018-2019, we have chosen to work with SP bindings using their Rear Entry Fastec technology. We’ve designed and developed a system to adapt a “side wall” to our existing base plate. The Rear Entry that we’ve selected allow to use your bindings in every situation and every condition. 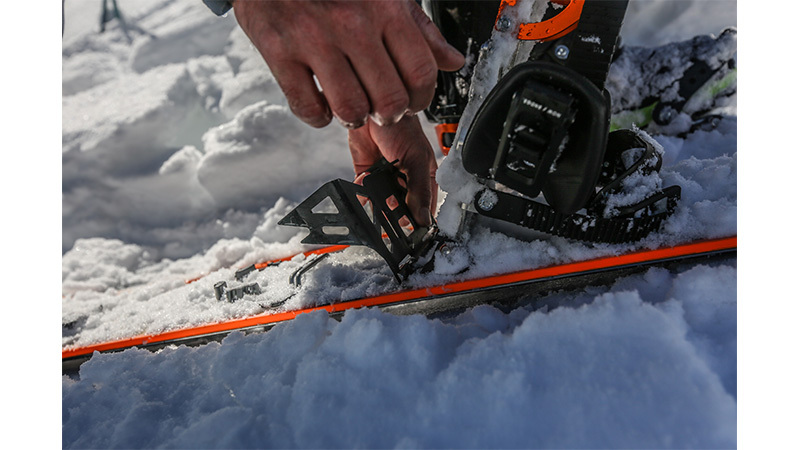 The FASTEC technology will enable to step on or step off your boots from the binding in a classic way (from the ratchets) or from the back entry (high back). Countless hours of testing with a large sample group of boots and shoes of different sizes and brands. Obviously, there are always boots brands which have a better fit than others. We propose three base plates and two heel cup sizes, which allow us to better adapt to existing boots on the market. 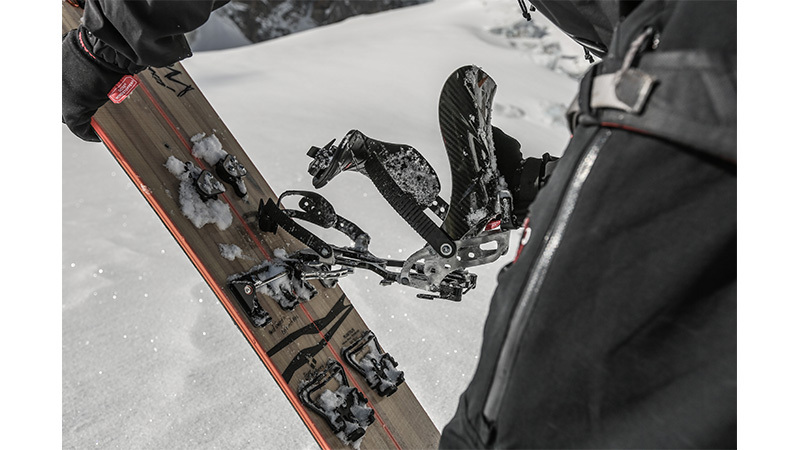 All the components of our bindings are produced in our French factory, based at the foot of Chamonix Valley. Excepting straps and spoilers, every part is made and assembled in France. To produce local is part of Plum Splitboard DNA. For next season, we will focus our marketing and communication strategy on our range versatility. Our goal is to fulfill all splitboarders needs, from soft boots to hard boots splitboarders, as they have a more alpine approach.